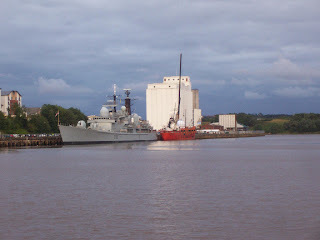 The Ship's motto 'Bon Espoir' means Good Hope and was the motto of Edmund Langley, the First Duke of York 1341-1402, who was the fifth son of Edward III. 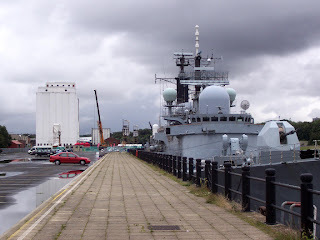 York was the last of the Type 42 destroyers to be built, at Swan Hunters, for the Royal Navy. 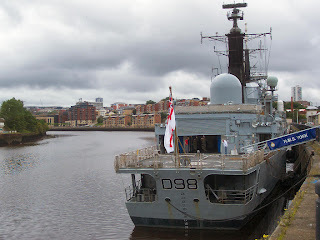 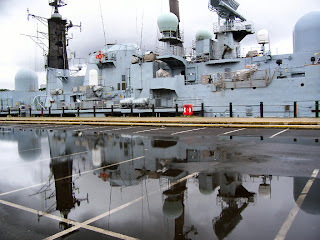 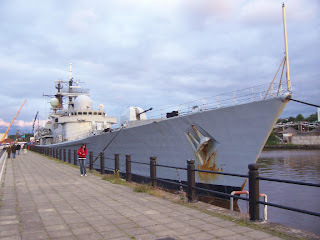 Launched in 1982 and accepted into service in March 1985, she is the twelfth ship in the Royal Navy to bear the name. 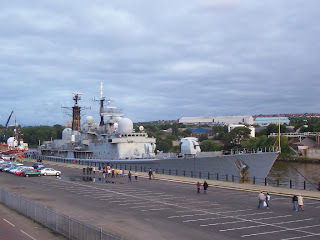 The HMS York doing full power trials, traveling at around 30 knots.